After deciding zone defense or man-to-man, players slowly take their positions, greeting each other as part of a friendly ritual, while the crowd starts getting comfortable …and the basketball game begins! Get ready for some passing, shooting, rebounding and cheering for your favorite basketball team until the end! Olympic Golf Zone encourages you to show your true support for your favorite teams and watch NBA games at our sports bar, where live basketball games are more exciting than ever. When you already have the date for the next NBA live game written down in your notebook, but cannot find the perfect location for this event, Olympic Golf Zone invites you to check our location and watch NBA in a friendly, welcoming atmosphere! As our sports bar is equipped with top high-resolution technology, you can be sure live basketball never looked so great. Watch Live NBA Games at Olympic Golf Zone to Have a Unique Live Basketball Experience! Anything can become art if it comes from passion and Olympic Golf Zone is sure this applies to basketball too. The dribbling and blocking moves of the best basketball players combined with strategy and power. A basketball game is a fun competition between two teams and an enjoyable game to watch. The NBA games live present only the most amazing basketball moments, while also writing sports history on the spot. Olympic Golf Zone knows you wouldn’t miss such moments for the world and designed a space for you to have an outstanding experience. At times watching NBA live comes with a lot of emotions and excitement, so we are sure you need enough energy to support your favorite team. Therefore, our chefs provide mouthwatering dishes that match our wide selection of beverages, so that your game night will be complete. Join Olympic Golf Zone NBA Live Fans and NBA Playoffs Live! If you love basketball as much as we do, then you know where to spend the NBA Playoffs at! Olympic Golf Zone welcomes you and your friends with the best NBA TV live transmissions, while the crowd gathered here, at our location, will definitely put you in a good mood. Between rounds, take a break at our golf range, where a video golf simulator will help you improve your swing in no time! If you prefer baseball, Olympic Golf Zone has some great batting cages for you! To lose some of the tension accumulated while keeping your fingers crossed for your favorite basketball team, a strike or two in our pitching cages will definitely help! Then you can happily return to our bar, where live basketball awaits you! Nonetheless, our food and drinks list is worth trying, as our wide variety of dishes together with fine beverages are a total delight for your tastes! Watch NBA TV Live at Olympic Golf Zone and Catch the NBA Playoffs Live! Basketball is a popular sport for many, many reasons, but especially for the majestic moves and the amazing team communication that can be seen on field at each NBA games live. Olympic Golf Zone celebrates every live basketball game by creating a cozy ambiance, in order for all basketball fans that visit our sports bar to enjoy their favorite hobby to the fullest. When it comes to entertainment, Olympic Golf Zone hosts only the best game events. To give basketball its earned rights, our team organized a beautiful area where you can watch NBA games, as well as having dinner and drinks together with your dear ones. Curious about our unique venue? 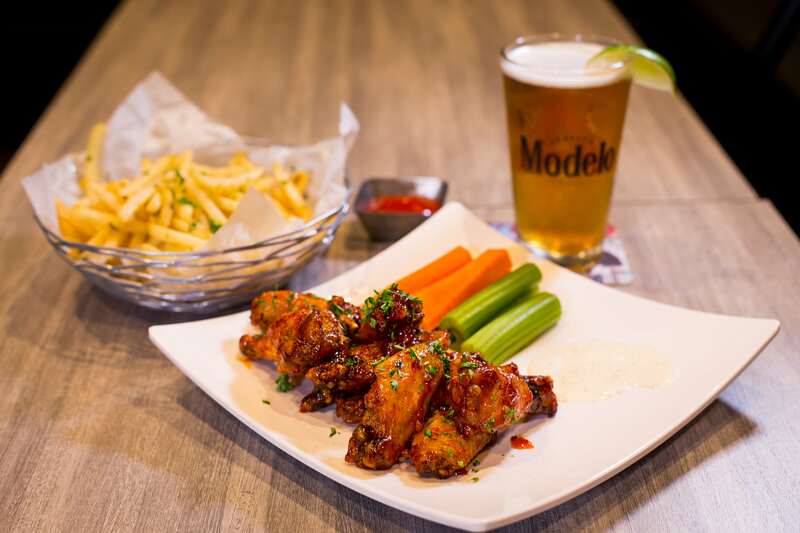 Book a private event at (714) 228-9900 or explore our sports bar, at 6988 Beach Blvd #B208, Buena Park, CA 90621.